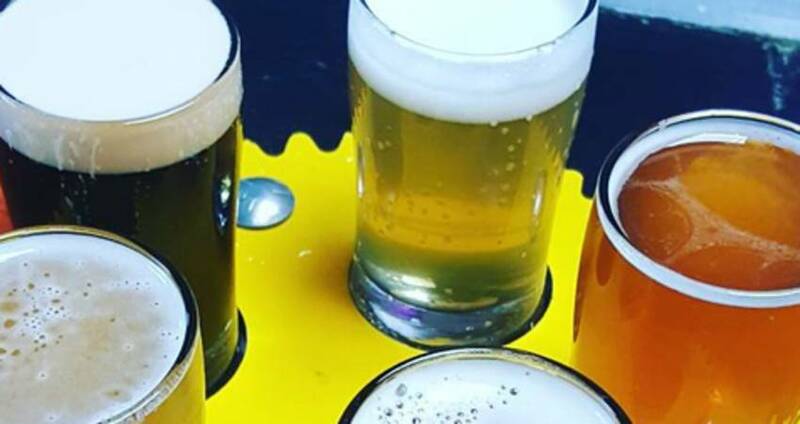 10 of Our Favorite Instagram Photos from Beer Month in Raleigh, N.C.
It&apos;s been another spectacular Beer Month in Raleigh, N.C., an April filled with festivals, beer dinners, special brew releases and plenty of good times with friends and family. Events like Casks on Fools, World Beer Festival Raleigh and Brewgaloo drew huge crowds, and visitors and residents came out in droves to check out newly-opened breweries. Not only that, but thousands of images were shared on social media during the month-long celebration of craft beer. These are 10 of our favorite images you posted to Instagram during Beer Month in the Raleigh area. Bond Brothers Beer Company opened just in time for Beer Month, and we absolutely adore the subtle Cary-themed glassware used at the taproom. More than 80 N.C. breweries (and many thousands of you!) came out to downtown Raleigh&apos;s Fayetteville St. to take part in Brewgaloo, the state&apos;s largest beer festival. It&apos;s impossible to go wrong with these flights from Compass Rose Brewery. And these crank-shaped flight wheels from Crank Arm Brewing sure are fitting! A beer plus some grub from a local food truck sure do look good paired with Lonerider Brewing Company&apos;s big, bold logo that beer fans are sure to recognize. This beautiful outdoor space at Neuse River Brewing Company paired perfectly with Raleigh&apos;s spring weather during Beer Month. The overhead shot of a pretty flight is tough to resist on Instagram. Especially when it matches the name and logo of Nickelpoint Brewing Co.
Raleigh Brewing Company has "tapped the capital" and scored lots of success with a wide variety of beers, plus a large, mural-covered taproom. Trophy Brewing Company opened up a second location recently. Cheers to that, and this amazing Grapefruit Gose they released during Beer Month! Based in Wake Forest, N.C., just 30 minutes north of downtown Raleigh, White Street Brewing Company&apos;s "Bigtime beer. Small town soul." is something we can 100-percent get behind! Thank you for sharing your photos all month long! Keep tagging photos with #visitRaleigh on Twitter, Instagram and Facebook for a chance to be featured on our accounts.